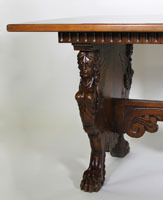 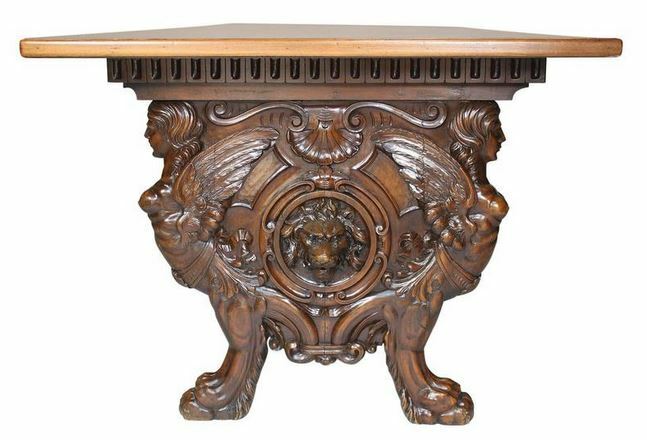 A Fine and Large Italian 19th-20th century Baroque style carved walnut tavern table or dining table. 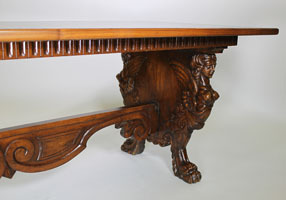 The long rectangular top (later) atop a pair of carved bases with figures of winged maiden, shells, scrolls and centred with a roaring lion head. 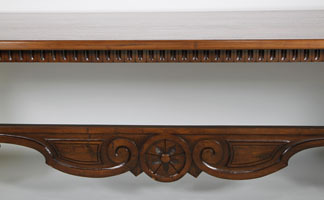 Both bases conjoined with a carved stretcher. The base circa 1880-1890. 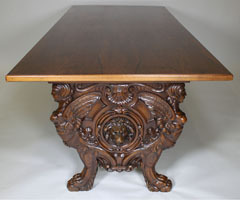 A great piece for a wine cellar, dining room or used as a writing table or desk.